WE SHIP NATIONWIDE! 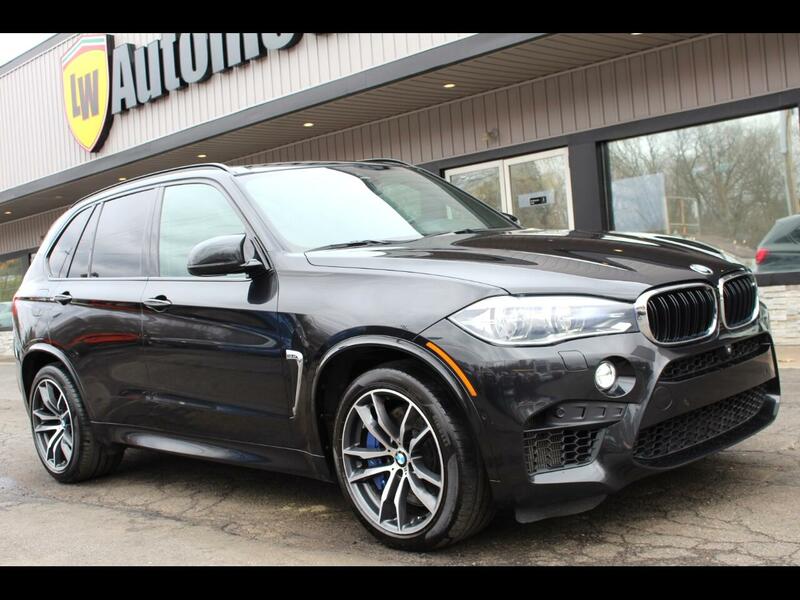 2015 BMW X5 M SUV FOR SALE. BLACK ON BLACK! 4.4L V8 TURBOCHARGED ENGINE PRODUCING 567 HORSEPOWER! NICELY OPTIONED WITH; 4.4L BMW M TWINPOWER TURBO V8 W/ TWIN-SCROLL TURBOS, 8-SPEED M SPORT AUTOMATIC TRANSMISSION, PADDLE SHIFTERS, BACK UP CAMERA, HEADS UP DISPLAY, COOLED FRONT SEATS, HEATED FRONT AND REAR SEATS, HEATED STEERING WHEEL, NAVIGATION, BLUETOOTH, SATELLITE RADIO READY, HID HEADLIGHTS, KEYLESS START, POWER LIFT GATE, PANORAMIC SUNROOF AND MORE! THIS X5 IS LOCATED AT 9234 PERRY HWY PITTSBURGH PA 15237. PLEASE CALL 412-366-7400 FOR MORE INFO OR TO SCHEDULE A TIME TO SEE THIS VEHICLE.